Luna Bergere Leopold (October 8, 1915 – February 23, 2006) was a leading U.S. geomorphologist and hydrologist, and son of Aldo Leopold. He received a B.S. in Civil Engineering from the University of Wisconsin, Madison in 1936; an M.S. in Physics-Meteorology from the University of California, Los Angeles in 1944; and a Ph.D. in Geology from Harvard University in 1950. Leopold is widely known in his primary field for his multitude of work in fluvial geomorphology and for the classic book, Fluvial Processes in Geomorphology, that he wrote with Gordon Wolman and John Miller. Leopold suggested that a new philosophy of water management is needed, one based on geologic, geographic, and climatic factors as well as traditional economic, social, and political factors. He argued that the management of water resources cannot be successful as long as it is naïvely perceived from an economic and political standpoint, as it is in the status quo. From 1937 to 1940, Leopold worked as an engineer for the U.S. Soil Conservation Service in New Mexico. In 1940, he enlisted and was a part of the U.S. Army Weather Service and the Army Air Force. He was in the Army until 1946 and he rose from the rank of Private to Captain. From 1946 to 1950, Leopold served as the Chief Meteorologist of the Pineapple Research Institute, Hawaii. In 1950, he joined the U.S. Geological Survey. He worked for the USGS until 1972 serving as Hydraulic Engineer (1950–56), Chief Hydrologist (1956–66), and Senior Research Hydrologist (1966–72). In 1972, Leopold joined the faculty of the University of California, Berkeley as a professor in the Department of Geology and Geophysics and Department of Landscape Architecture. He retired in 1986 and continued as a Professor Emeritus until his death in 2006. 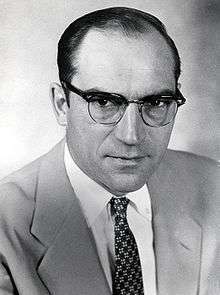 1973 - Recipient of the G. K. Warren Prize from the National Academy of Sciences. 1991 - Awarded the National Medal of Science. Leopold, Luna B. (1997). Water, Rivers and Creeks. University Science Books. ISBN 0-935702-98-9. Leopold, Luna B. (1966). Water, Life Science Library, Time Life Education. (reprinted 1981, ISBN 0-8094-4075-X). Leopold, Luna B. (2006, reprint). A View of the River. Harvard University Press; New Ed edition. ISBN 0-674-01845-1. Leopold, Luna B.; Wolman, M. Gordon; and Miller, John P. (1995). Fluvial Processes in Geomorphology. Dover Publications. ISBN 0-486-68588-8. Leopold, Aldo and Leopold, Luna B. (editor) (1972, reprint). Round River. Oxford University Press, USA. ISBN 0-19-501563-0. Leopold, Luna B. (1966). Water (Series: LIFE Science Library), Time Incorp, ISBN B000GQO9SM. Leopold, Luna B. (1974). Water: A Primer. W H Freeman & Co. ISBN 0-7167-0263-0. Dunne, Thomas and Luna B. Leopold (1978). Water in Environmental Planning. W. H. Freeman & Co. ISBN 0-7167-0079-4. ↑ Professor Emeritus Luna Leopold University of California Retrieved February 25, 2009. ↑ Luna B. Leopold; M. Gordon Wolman; John P. Miller. (1995). Fluvial processes in geomorphology. New York: Dover Publications. ISBN 0-486-68588-8. ↑ Kirk Bryan Award, Geological Society of America website. Retrieved August 24, 2010. ↑ "G.K. Warren Prize". Awards. National Academy of Sciences. Archived from the original on August 19, 2007. Retrieved June 4, 2007. ↑ "=Benjamin Franklin Medal in Earth Science". The Franklin Institute. Archived from the original on August 13, 2007. Retrieved September 9, 2008.